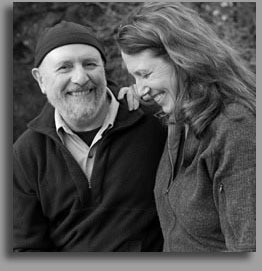 Husband / wife photography team Mary Liz Austin and Terry Donnelly live on Vashon Island in the heart of Puget Sound in Washington. Over the past fifteen years they have traveled extensively in North American national parks and the American countryside. Most recent travels include Nova Scotia, Ireland, Tuscany, the Caribbean and other tropicallocations. In their work, they seek those elusive conditions, which reveal the mystery and grandeur of nature. Their images also appear in numerous calendars, books and cards by Sierra Club, Audubon, Barnes and Noble, American Greetings, Hallmark, National Geographic Books, Outside Magazine, Reiman Publications, and Brown Trout Publishers.